When I went to see Pixar’s “Inside Out”, I was looking for a feel-good film, something fun and light. After watching this little gem, I can honestly say that it was one of the most educating and eye-opening experiences that I’ve had in a while. The hype surrounding this film is legitimate. What’s the premise of the film? Riley is a young girl from Minnesota and she is moving to San Francisco because of her father’s new job. As you might have guessed, not everything is “peaches and cream” during this transition. This is when things start to get interesting and by the way, major kudos for the writers, as they managed to explain complex matters such as emotions in a super “digestible” way for kids and adults. Basically, they tried to describe emotions in the form of characters: Joy, Fear, Anger, Disgust and Sadness. Joy is supposedly the leader of the group, she’s the one that is trying to “control” all the other emotions and keep things in order (keep Riley happy). No! Why did you do have to that? Stop contaminating Riley’s memories with your bad energy! For empathy and compassion. Sadness was the only one able to comfort “Bing Bong” (Riley’s imaginary friend) when he was feeling down. Joy is all about good vibrations, which is a good thing, but sometimes, she’s completely clueless about what to do when someone is feeling sad. For support. Sadness is not a pleasant emotion, but it can come in handy sometimes. When someone is sad for whatever reason, the body tends to send signals, which helps the people around us understand that we might need some help. When Riley “allowed” herself to be sad, her parents were finally able to understand her pain/frustrations and provide her the support she needed. To appreciate. Sadness is to Joy, as salt is to chocolate. They are very different, in fact, they are an usual combination, but whenever you combine them together, magic happens. At the end, Joy realizes that memories shouldn’t be defined by only one single emotion. Different emotions can coexist and that’s what makes our memories “special”. For instance, Sadness makes Riley more appreciative of her “happy” memories. 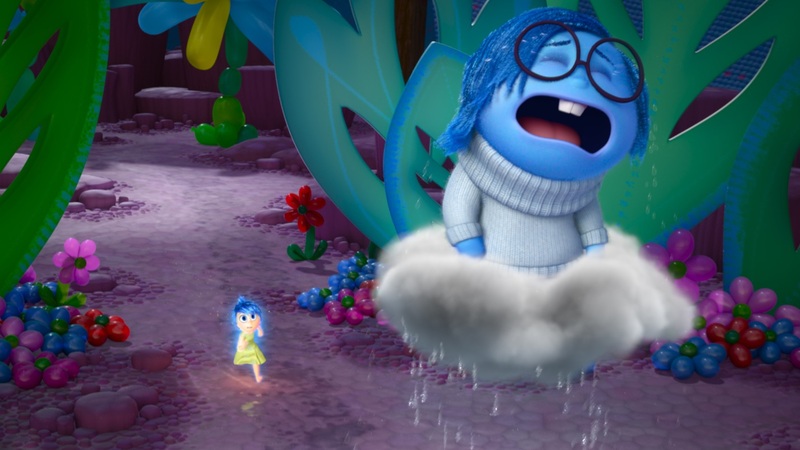 Overall, I think that “Inside Out” is a film with a lot of heart. It teaches a great lesson about the importance of embracing emotions to kids (and adults). I hope the film encourages people to stop tagging Sadness as a bad emotion. It is part of us and we shouldn’t treat our “blue friend” as a foreign object to which we are “allergic” to. For more technical details about the film, click here.